-Switzerland (8)- It’s a surprise to see Switzerland among the seeded teams during FIFA’s World Cup draw back in December. Sure Switzerland was in FIFA’s Top 8 but traditionally Switzerland was never a football powerhouse. Switzerland has been to the World Cup nine times and have gone past the First Round five of those times. However they’ve never gone any further, not even when they hosted back in 1954. Nevertheless Switzerland has been playing very impressively lately. They especially did well in World Cup qualifying, taking their qualifying group in seven wins and three draws. Of the eighteen games they’ve played in the last year, they only lost one game and that was to South Korea. They’ve also proven themselves further by winning against Brazil in a game and tying Croatia. Chances are Brazil could be the stage for Switzerland’s best World Cup performance ever. -Ecuador (28)- Ecuador isn’t one of the more celebrated South American countries in football but it does have the ability to surprise many. Ecuador was able to finish second in the Group Stage back in 2006 and advance to the Round of 16 for the first time ever in only their second World Cup. Ecuador however has struggled at the Copa America and has not gone past Round 1 ever in this century. 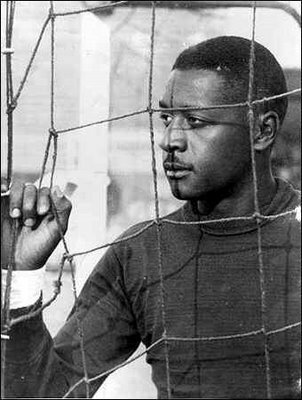 Ecuador did however have a setback last year when one of their best players Christian ‘Chucho’ Benitez died of a heart attack last year at 27. It was a struggle for the team as they saw him not only as a key player but as a friend. Ecuador did qualify for the World Cup finishing fourth in the South American qualifying pool. Ecuador’s play records include recent wins against Chile, Colombia, Uruguay and a tie against the Netherlands. This World Cup will define Ecuador even further. -France (16)- If anyone were to answer who the seeded team of this group was in the draw, I’m sure they’d most likely pick France. With good reason: winners in 1998 and finalists in 2006. However France has a reputation of being an ‘all or nothing’ team as of late. In fact if you remember the 2010 World Cup, you may remember France had a terribly disappointing time that even cause the president of the French Football Federation to resign even before their last game in Group Stage. Since then, France has worked on rebuilding itself. They’ve done better but it didn’t come without difficulties. France lost to eventual winners Spain in the quarterfinals of Euro 2012. That led to the new coach being fired after just two years and being replaced by Didier Deschamps, captain of the World Cup-winning 1998 squad. France has had an up-and-down time in terms of play. For World Cup qualifying, the team finished second to defending World Cup holders Spain in their group and were delegated to a repechage round in which they were paired up against Ukraine. They first thought it would be easy since Ukraine has never won against France in their seven matches. This would be a surprise to France as Ukraine won their first repechage match 2-0 and would be Ukraine’s first win over France. France knew they would have to give Ukraine a hell of a game in the second match to qualify and a hell of a game is what they delivered, winning 3-0 and qualifying. Recent friendly play has been less stressful on France as they’ve beaten Netherlands 2-0 and Norway 4-0. 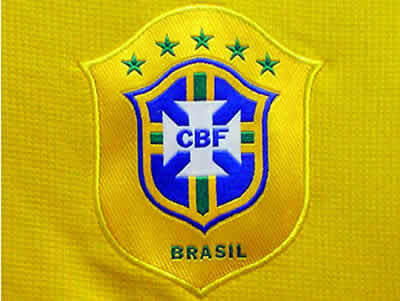 However they’ve also lost to Uruguay 1-0 and Brazil 3-0. 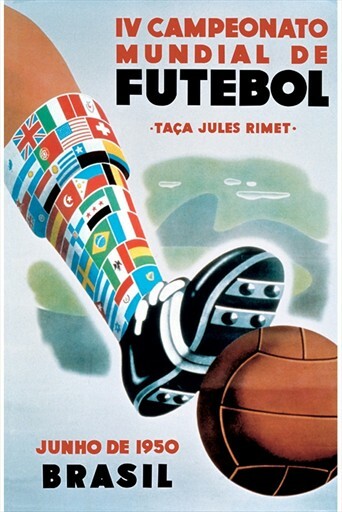 The latter is odd because France has a reputation of being Brazil’s ‘achilles heel’ especially at the World Cup. Whatever the scenario, France will have to prove their comeback in Brazil whether they’re ready or not. -Honduras (30)- Honduras should be seen as a ‘little giant’ in football. This is their third World Cup and second in a row. However even though they are a rising team that has included making the CONCACAF Gold Cup semifinals the past three times, they’re still looking for that breakthrough moment at the World Cup. Being in this group makes their chances look next to impossible but you shouldn’t immediately dismiss them or their talent. They have a reputable coach in Colombian Luis Fernando Suarez who coached Ecuador to a Round of 16 finish in 2006. Although most of the lineup including top scorer Carlo Costly play for Honduran teams, They have Emilio Izaguirre who plays for Chelsea and four players who play for MLS teams. They’ve also given Mexico and the U.S.A. defeats in recent play and even tied Ecuador 2-2. So don’t count Honduras out. 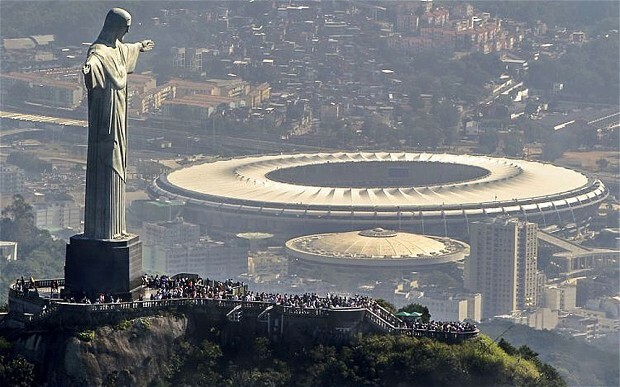 They may have their best World Cup ever in Brazil. Okay, my prediction for the two advancers: France and Switzerland. However a surprise from Ecuador is possible. I like reviewing stadiums but I admit it does get kind of tiring. Fortunately I only have one to review and it’s a good one. 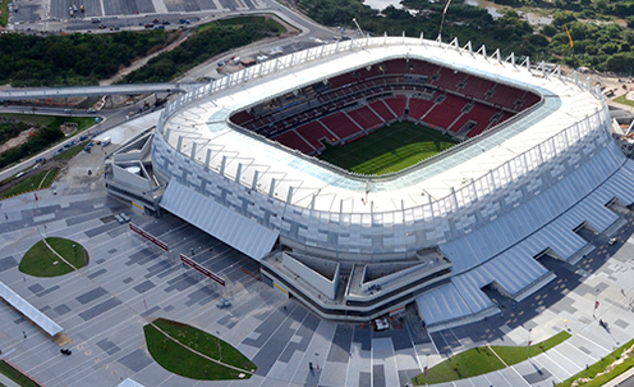 This stadium has long been home to Porto Alegre’s team Sport Club Internacional. 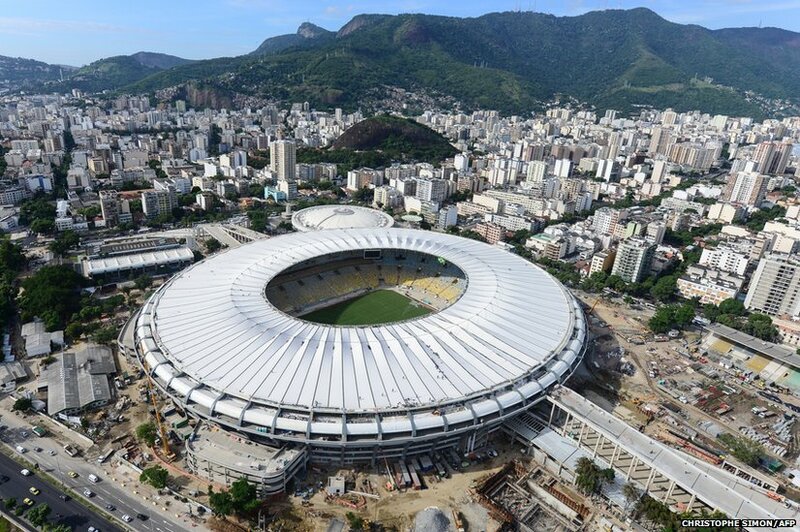 The stadium in recent years has undergone through restoration and developments for the World Cup. 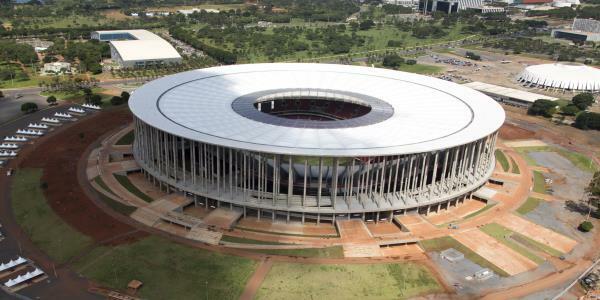 For one thing, the stadium received a metal roof with appropriate drainage. 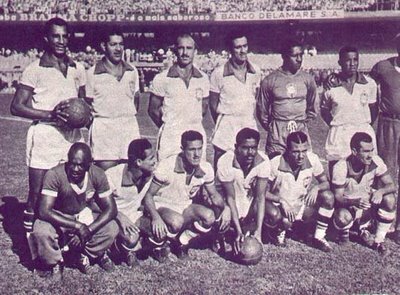 Timeliness was a problem as the first FIFA test match had to be scrapped because of construction delays. Yes, even stadiums that already were in existence had problems with renovations. It was however ready for the second test event in February and should go off without a glitch during the World Cup. And there you go. My take on Group E and another stadium. Hard to believe nine days to go. Hang tight. It’s questionable which of the eight World Cup groups of this year should be called the ‘Group Of Death.’ Most people are saying it should be Group D, and with good reason. It consists of three countries that have won at least one World Cup and all three are still strong today. It’s a shame there will be at least one of those World Cup winners packing once all the Group Stage matches are done. -Uruguay (6)- If any country has to be the comeback story of football, it’s Uruguay. Uruguay dominated football in the 1920’s and won the first ever World Cup in 1930. 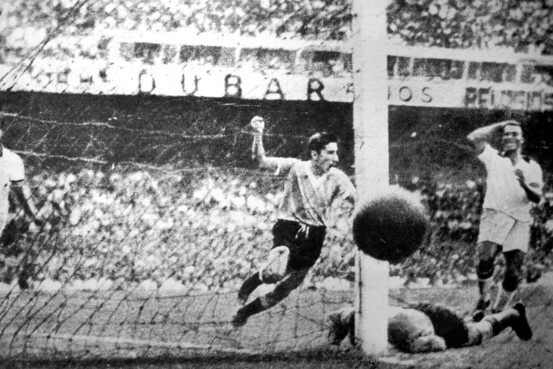 Uruguay also shocked home country Brazil in 1950 by beating them 2-1 in the Maracanazo, which I will write about in a later blog. Since then, Uruguay’s prowess withered over time. It was like their fourth-place finish in 1970 was the end of it all. It would take four more World Cup appearances where the highest they got was the Round of 16 before there was a turnabout in the last few years. And it was over at the 2010 World Cup where Uruguay sent the message they’re back with their fourth-place finish. Further success continued with a win at the 2011 Copa America, qualifying their under-23 team for the Olympic Games, and finishing fourth at last year’s Confederations Cup. They’ve also had good play in friendlies with wins against, Italy, France and Japan. Nevertheless they did struggle during World Cup qualifying during the first half. They just have to be together in Brazil if they want to write another chapter to their new legacy. -Costa Rica (34)- Costa Rica seems like the odd one out in this group. The other three have won World Cups in the past and the furthest they ever made it was the Round of 16 back in 1990. Maybe so but Costa Rica can deliver. They have had wins against Mexico and the U.S. last year. They’ve had their notable losses too. Whatever the situation, this can be a good learning experience for Costa Rica. They’ve never won against any of their Group D rivals but win, lose or draw, this can provide excellent growth for the team. They have good guidance through Colombian coach Jorge Luis Pinto and have talented players like Fulham’s Bryan Ruiz, Costa Rica’s top goalscorer Alvaro Saborio and rising newcomer Joel Campbell who plays for Arsenal. Don’t underestimate Costa Rica. -England (11)- It’s always the same old story for the Three Lions. England often has the finest combined talent assembled for a football team no matter what tournament they enter. However they don’t always play like a functioning team and they often come up shorter than expected. And don’t get me started on penalty kicks. 2014 will define the TriLi’s even further. They have the goods to do well. They have an excellent coach in Roy Hodgson who took on England just two months before Euro 2012. They have top players like captain Steven Gerrard, vice-captain Frank Lampard, phenom Wayne Rooney and rising young star Jack Wilshere. Since Hodgson took over as coach, England has been impressive despite being ousted in the quarterfinals of Euro 2012 thanks to, you guessed it, penalty kicks. They’ve won or drew most of their matches. Even their losses– to Sweden, Chile and Germany–were not that big. So will England arrive here in Brazil? It will all be decided with the whole world in their wake. -Italy (9)- The Azzuri are traditionally a stellar team. 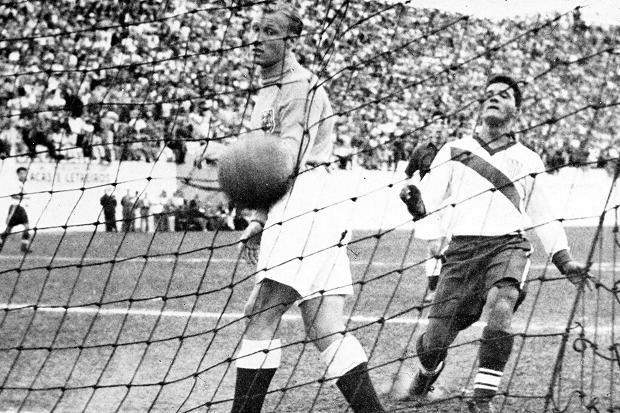 Only Brazil and Germany have finer World Cup legacies. However things really took a stump at World Cup 2010. They entered the tournament as the reigning Cup holders and left at the end of the Group Stage. The irony being they had the same coach that led them to win the 2006 World Cup. Italy has since hired Cesare Prandelli as their new coach and he has given them an excellent turn-around. The tournament where Cesare proved himself and the new Azzuri was Euro 2012. The Euro was won by Spain but Italy did make it to the finals. That was enough to send the message that Italy was back and playing with the winning style the Azzuri has the reputation for. Italy also finished third at last year’s Confederations Cup and qualified for the World Cup easily. However Italy has shown some glitches in recent play. They beat Mexico and tied Germany but have lost to Argentina, Brazil and Spain. Italy is seeking redemption in 2014. No doubt they have the ability. It’s just a matter of them delivering. And now my prediction. I predict the two advancers from this group will be Uruguay and Italy. After doing three spotlights where I’ve spotlighted two stadiums, I can finally spotlight only one here. 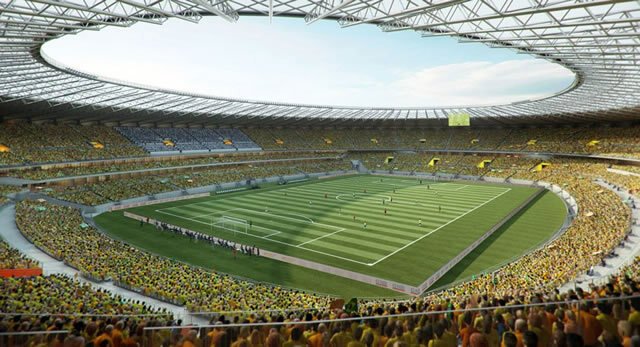 However it’s one of the biggest and will be a major stage here at the World Cup. 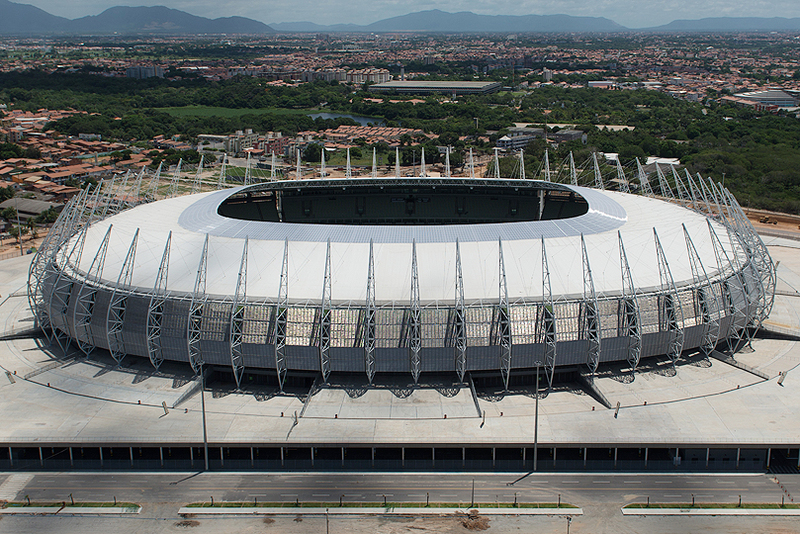 This is another of Brazil’s classic football stadiums. It was 25 years in the making and opened up in 1965. The stadium is considered one of the best football stadiums in the world. The stadium once held over 132,000 people for a soccer match back in 1997. 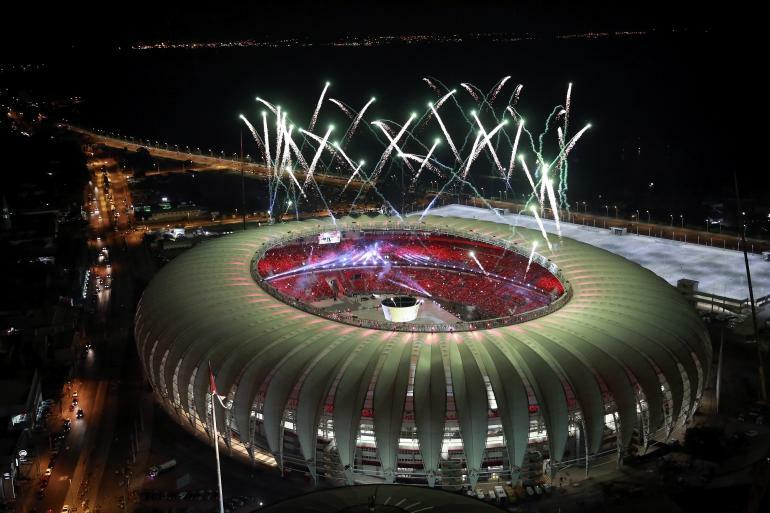 Many other big soccer matches and big concerts have been held in the stadium. There was some redevelopment to the stadium in the years leading to the World Cup. Now fans can enjoy better access to the arena. 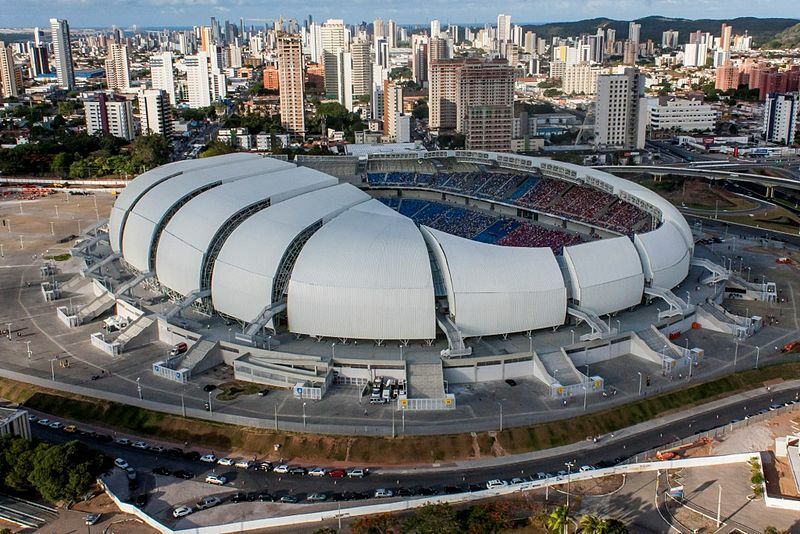 The stadium was also one of the venues for the Confederations Cup. 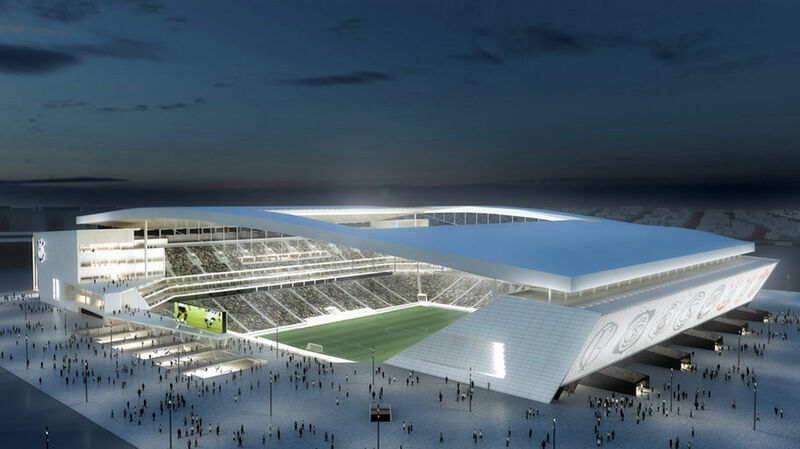 After the World Cup the stadium will return to being homes to Atletico Mineiro and Cruzeiro. Fuleco dancing at the World Cup Draw in December. Since I only have one stadium to focus on, I thought I’d give a focus to the mascot. Normally choosing a mascot for a major sporting event is not an easy thing and it wouldn’t be an easy thing for the World Cup. Some like Striker in 1994 and Zakumi in 2010 were well-received. 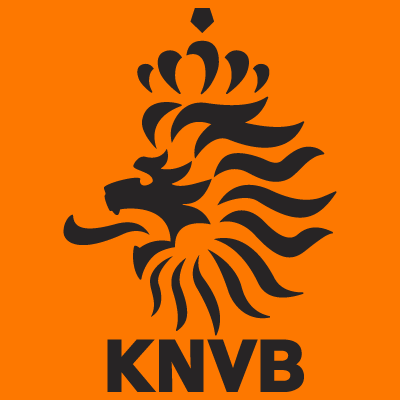 Some like Goleo in 2006 were questionable since the lion is representative not of Germany but more England and the Netherlands. And then there are even food-based mascots like Naranjito the Spanish orange from 1982 and Pique the jalapeno pepper from 1986. Brazil went with a three-banded armadillo who camouflages himself as a soccer ball. Brazil held a vote on the mascot’s name and the most votes went for Fuleco: a mix of the words Ful–from Futebol (football)– and eco from Ecologia (ecology). The name should suit as Fuleco is representative of football spirit and is of an endangered species. Fuleco has a cheerful and appealing personality. He’s a proud, confident Brazilian armadillo. He does not talk but he’s very curious and extroverted, adventurous and loves to explore wherever he goes. Like all Brazilians, he has a big heart and is hospitable. Unlike his other armadillo friends, he’s very sociable. He loves to dance to music, especially Brazilian samba music, and likes keeping up to date with his family. Brazil has given Fuleco a positive response. Within two days after Fuleco’s announcement, 89% of Brazil knew who Fuleco was. A recent survey of appeal revealed that Brazilians gave him average appeal score of 7.3 out of 10. Already he’s destined to be one of the best World Cup mascots ever. And there you go. That’s my take on group D, another World Cup venue and the mascot Fuleco. 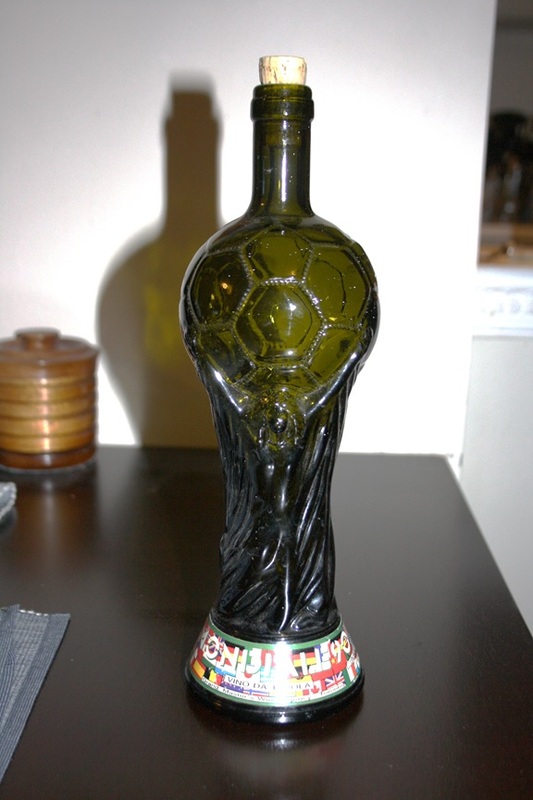 More World Cup stuff to come.